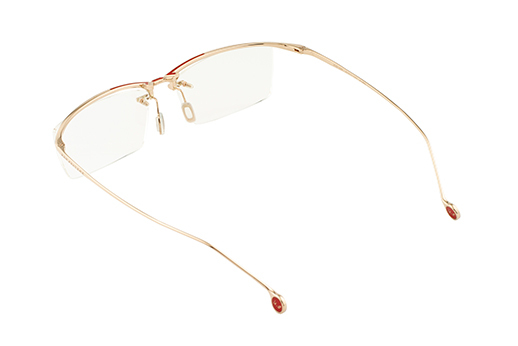 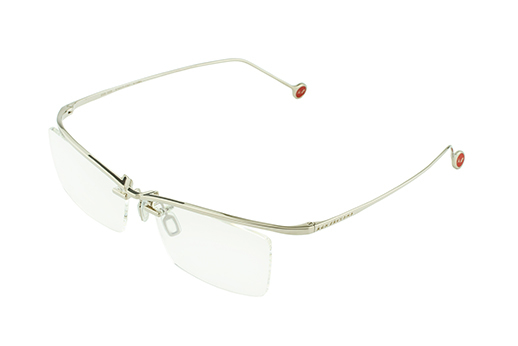 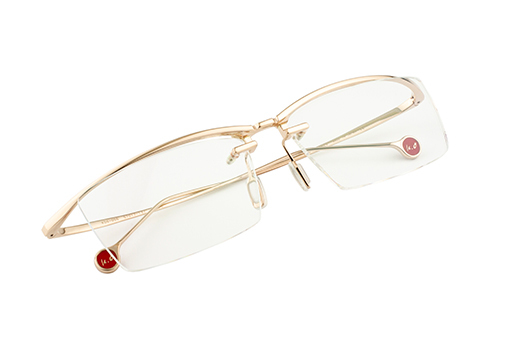 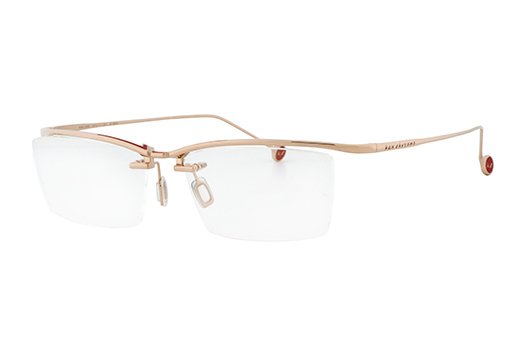 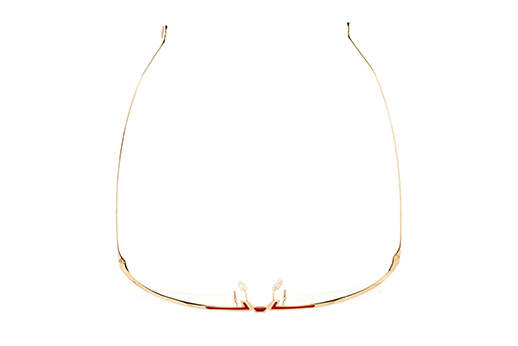 KOG-005 is a one hole-rimless model featuring decent minimal design. The enamel color on the bridge enhances the preminum look of KO-005. 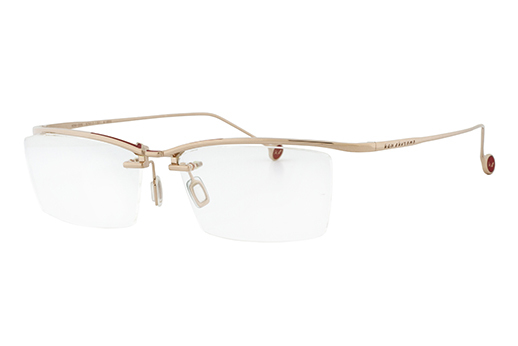 KOG-005's design is only available in the K18 Gold collection. 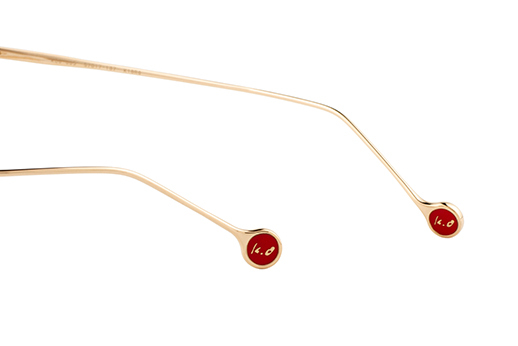 The design is simple but sophisticated. 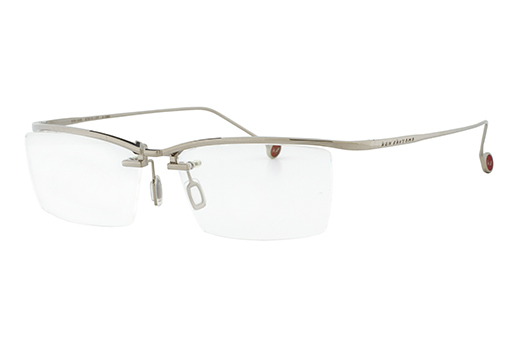 The thin frames realize light weight but there is no compromise in the design.